Red Hot Velvet Cake. Photograph by Norma Vega. 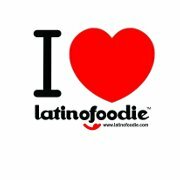 LatinoFoodie hosted its first “My Foodie Valentine” at our home with a special five course tasting menu inspired by Nestlé products. Nestlé Kitchens graciously underwrote the cost for the Tasting. 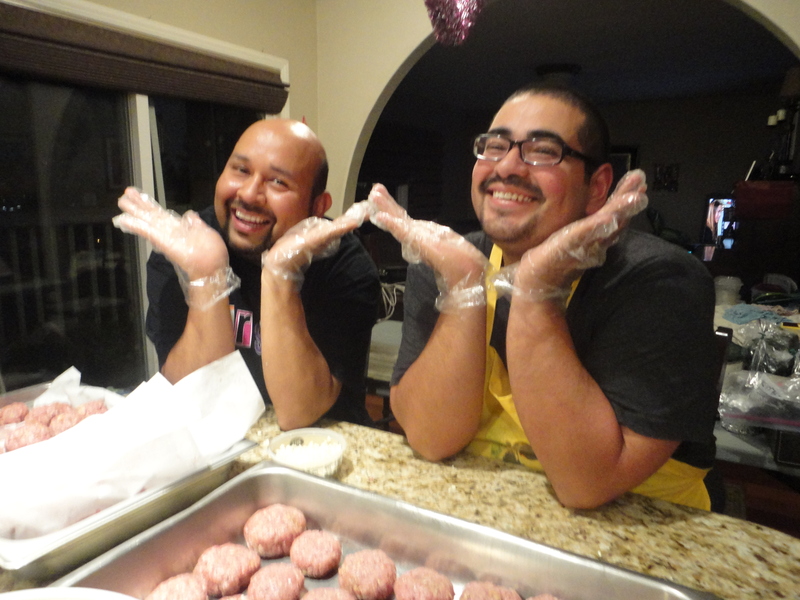 We invited a small group of friends, family and fellow food and wine bloggers to spend a Sunday evening sharing love, laughter, and good food and wine. Make sure to continue reading below for our Dark Chocolate and Coffee Brownie Love Bites recipe. Acting silly stuffing bacon and bleu cheese into the beef patties for the sliders that also had grilled onions and a jalapeño and cilantro sauce. 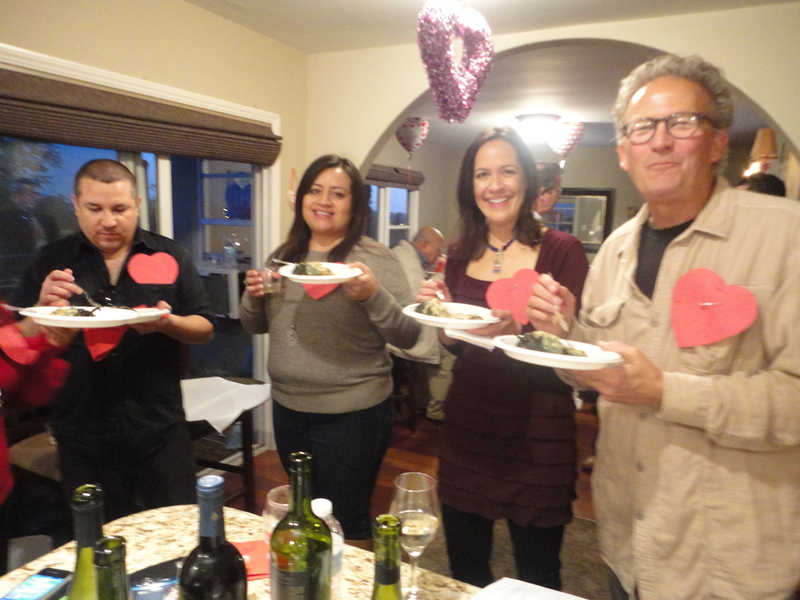 Guests were pinned with big red heart cut out badges just as Julia Childs did with her Valentines dinner guests.Pictured from L to R: Lourdes Rodriguez from VPE Public Relations, Javier Cabral from The Gluster.com, and Chef Art Rodriguez from LatinoFoodie.comThe kitchen team: JL Bennett, Tara O'Reilly, and Chef Art Rodriguez from LatinoFoodie.com. Photo by Norma Vega. 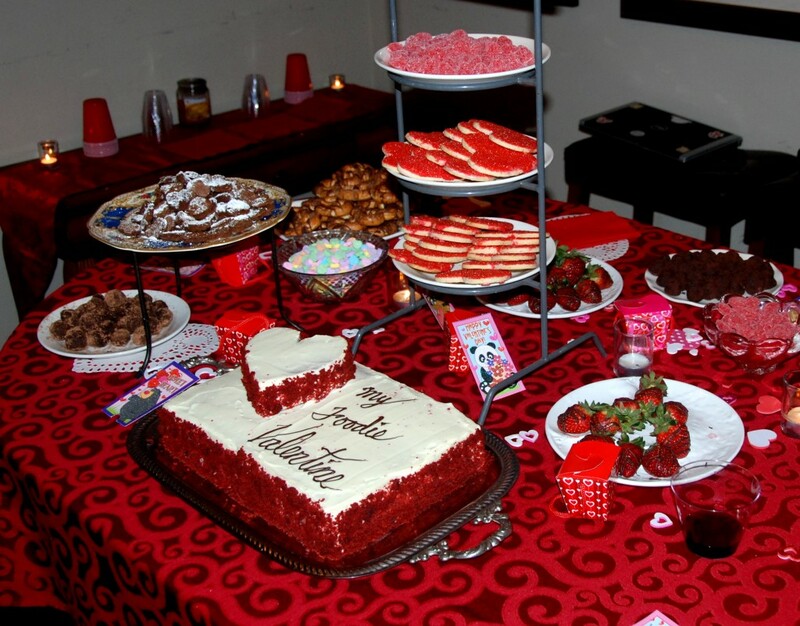 All of the yummy desserts featured at the Tasting included coffee-flavored brownies, Red Hot Velvet Cake, assorted chocolates, jelly candies, sugar cookies, and so much more! Hassleback Garlic Potatoes in the making. 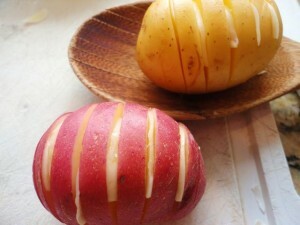 These little babies were roasted then drizzled with a garlic infused butter/olive oil. 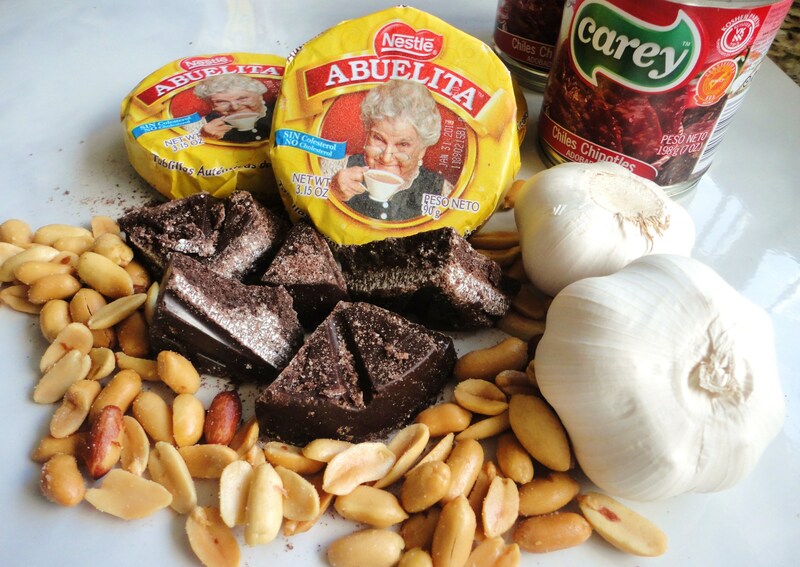 Nestle's Abuelita chocolate adds just the right amount of sweetness to the spicy mole. Fifth Flight – Love…Aint it Sweet? Chocolate covered strawberries. Photograph by Norma Vega. We’d like to acknowledge and thank Lourdes Rodriguez of VPE Public Relations, Laura Zitouni from Melrose Catering, plus… Pamela Corante-Hansen (www.LatinaWineBlogger.com) for providing sample pairing wines, and our dear friends Tara O’Reilly and aspiring pastry chef JL Bennett. Last, but certainly not least, Chubby, for not eating any of the Nestle chocolates. Preheat your oven 350°F. Prepare a cookie sheet by brushing it with melted butter. Place a piece of parchment paper to line the bottom, with two flaps hanging over sides. You don’t have to, but it’ll make removing your brownies a lot easier. Over a double boiler, heat the butter and chocolate until melted and smooth. Remove from heat and allow to cool slightly. In a large bowl whisk together the eggs, sugar, and vanilla. Whisk in the slightly cooled chocolate mixture. It’s important that your chocolate is not hot otherwise it’ll cook your eggs. 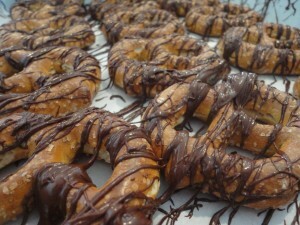 Once your egg and chocolate mixtures are combined, stir in the flour, cocoa, and coffee until just combined. 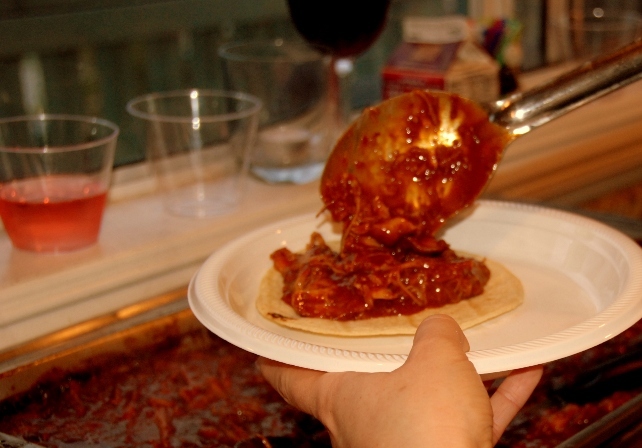 Pour into your prepared pan and smooth it out with your spatula. Bake for 25-30 minutes or until a toothpick comes out mostly clean with a few moist crumbs. Cool completely in the pan. 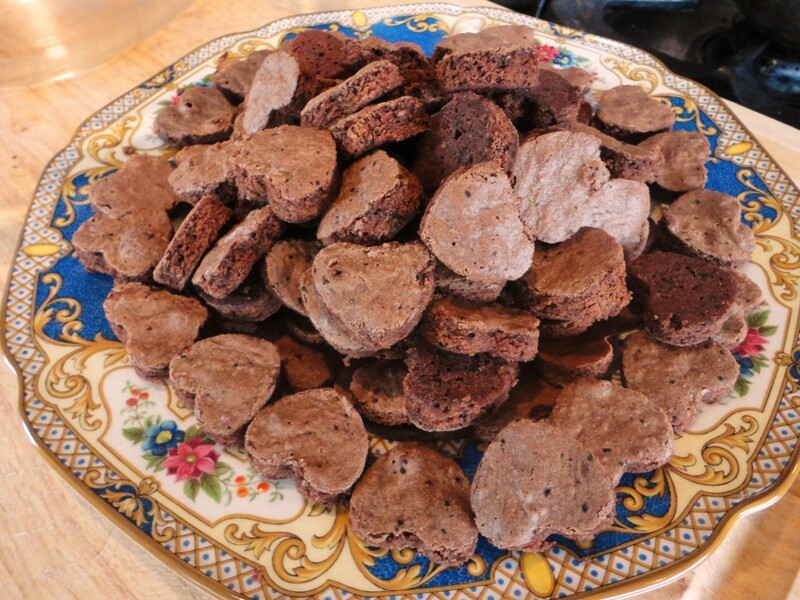 Using (heart-shaped) cookie cutters cut out your brownie bites. 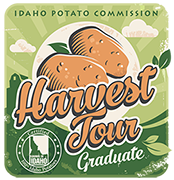 The yield will vary depending on the size of your cookie cutter. Sprinkled with a little of the hot cocoa powder. These little brownies are great serves alongside fresh berries and crème anglaise or a sprinkling of powdered sugar or a drizzle of chocolate syrup. Disclosure: Nestle Kitchens underwrote the expenses for the food provided at the tasting. 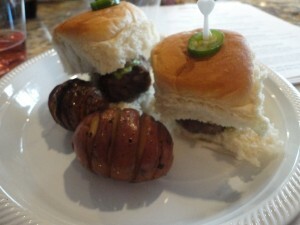 However, all menu items were created and developed by LatinoFoodie.